Gettysburg is one of the most haunted places in the America and possibly the world. Haunted by the ghosts of soldiers who lost their lives on the battlefields and makeshift hospitals, the residual emotional energy may have trapped these tormented spirits in various locations. It all makes for a spooky and haunted place that's often filled with mist and shadows. More men died on Gettysburg battlefields during the three-day battle than anywhere else on US soil. Be prepared. 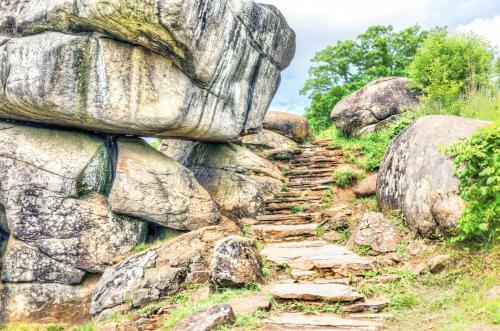 If you visit these haunted places in Gettysburg, you may encounter a ghost or two. 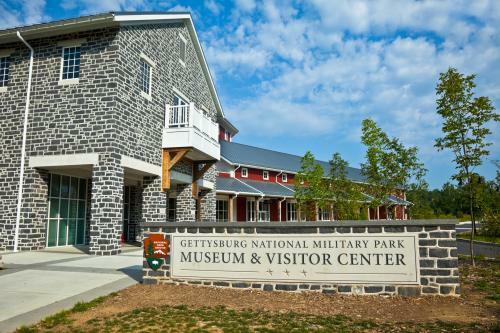 Even the visitor's center at Gettysburg National Park has its share of ghosts, so while you're standing in line for tickets and information, you might experience apparitions of soldiers, hear disembodied voices, and more. In fact, one visitor to the center believes he captured the ghost of a Civil War era soldier in a photograph. The center is located at the entrance to the National Military Park in Gettysburg. Formerly the site of a Quality Inn Hotel, this property was purchased in 2015 by the Civil War Trust. However, while you can no longer stay there, you can still visit. The 4-acre property on Seminary Ridge is home to General Lee's Headquarters Museum. 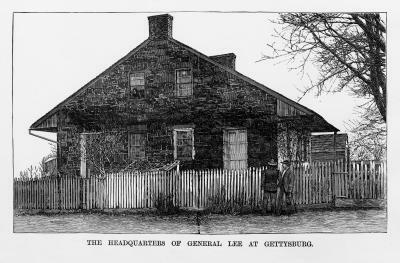 According to former inn night auditor Carolyn Hughes, the Quality Inn at General Lee's Headquarters was extremely haunted. Carolyn wrote about her experiences working at the haunted hotel in a monthly column, Diary From a Haunted Hotel in Paranormal Underground magazine. Visitors and staff reported full-body apparitions, phantom cannon fire, the sounds of battle, and fife and drum playing. A spirit in the attic of the former main office was regularly heard walking around in the middle of the night. Office staff also regularly experienced the following. Gunshots and the sound of objects hitting the front of the main lobby. Another of the most haunted places in Gettysburg is Sachs Bridge. 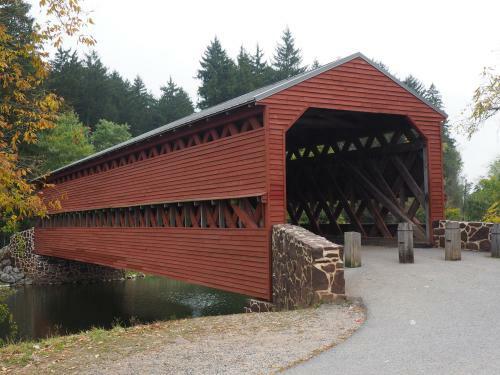 Sachs Bridge is a covered bridge that spans a small creek called Marsh Creek located about 100 yards off Millerstown Road. In June 1996, a storm hit the area, and the original bridge was destroyed. However, it has since been rebuilt using many of the original materials. The bridge has been closed to traffic since the '60s, and is a favorite location for those looking for evidence of hauntings. According to legend, three confederate soldiers deserted their unit and, once captured, were hung from Sachs Bridge. Several investigators have recorded EVP sessions in this location with interesting results. It is no surprise that the Gettysburg battlefield itself still carries with it the emotional energy of so many lives lost. Visitors report the sounds of battle, apparitions, photographic anomalies and disembodied voices among other experiences. The park is open daily from 6:00 A.M. to 10:00 P.M. from April 1 to October 31, and 6:00 A.M. to 7:00 P.M. from November 1 to March 31, and these hours are strictly enforced. Visitors found on the battlefield after park hours will be arrested and prosecuted for trespassing. 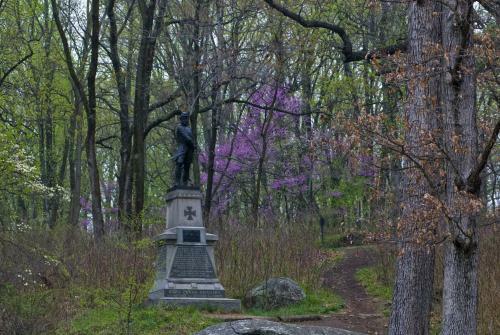 There was heavy fighting at Devils Den on the second day - July 2, 1863 - of the battle of Gettysburg. Rumors of the sound of drum rolls and gunshots abound in Devil's Den. Some witnesses claim to have cameras that malfunction or are knocked right out of their hands by an unseen force. Many people claim to have seen, taken pictures of and had conversations with a friendly soldier who either disappears or doesn't show up in photographs. Located near the Gettysburg battlefield, the Jennie Wade house saw tragedy during the Civil War that resulted in its acclaimed haunting. Twenty-year-old Jennie was kneading bread in her sister's kitchen when a bullet from the battle came through her front door and killed her. Jennie is reportedly the only civilian to die during the Battle of Gettysburg. Now the place she died is a museum that is reportedly haunted by her spirit, which wanders the home and is frequently seen by staff and guests. If you're looking for haunted lodging during your visit to Gettysburg, look no further than the haunted Gettysburg Hotel. Established in 1797, the hotel has a history of hauntings including a Civil War era nurse named Rachel and the ghost of a wounded soldier. 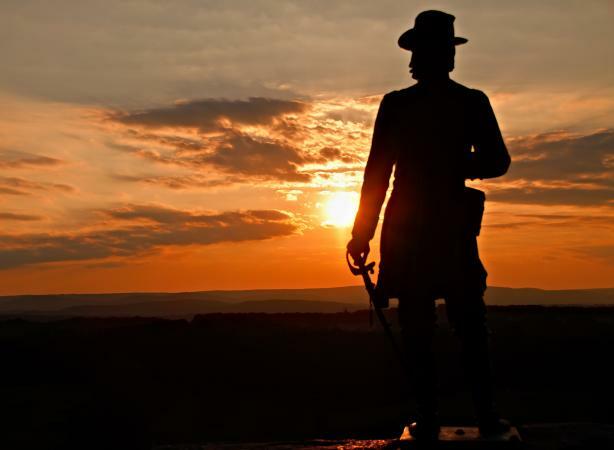 While it is good fun to visit haunted places, respect at Gettysburg is in order. Thousands of men and boys died horrific, bloody deaths, and their spirits remain. People have seen, heard, and photographed spirits of men whose sacrifices of blood remain on those fields. The energy from those three days remains long after the battle ended, and confused spirits may remain as well. While chasing the ghosts of Gettysburg, take a moment to reflect on the lives that were lost in the bloodiest battle on American soil.